THE PHENOMENON AND THE GIFT weekend takes you on a journey to access that deep stillness within. This journey leads to profound shifts and transformation. REVOLUTIONARY teachings guide the process. They are sourced in the ancient science and technology of consciousness. These teachings are based on the work of Sri Bhagavan, Founder of Oneness University. Thousands of people have connected deeply with that stillness within, called The Phenomenon, in the Presence of Sri Bhagavan. Learn a daily MEDITATION PRACTICE called the Golden Orb Meditation. Rocket forward to a stronger connection with the stillness within you, the Phenomenon. Access GREATER intelligence, DEEPER self-knowledge and MORE POWERFUL prayers. Help yourself and others! More contribution! Oneness University Instructors teach the program. They explain clearly the teachings, give understandable examples and then apply the teaching in a process to give a direct experience. They have studied upwards of 20 years directly with Sri Bhagavan. The teachings are live-streamed from The Abode of the Golden Orb in southern India. BONUS RARE OPPORTUNITY: Sit in meditation with this GREAT TEACHER. Sri has connected thousands of people DIRECTLY to the still point within---to the Phenomenon. And, It could be YOU! RESERVE YOUR SEAT! GET YOUR TICKET! Earn 16 CEUs from New Mexico Credentialing Board for Behavioral Health Professionals (NMCBBHP) - a member of the International Certification and Reciprocity Consortium/Alcohol and Other Drug Abuse (IC&RC/AODA) for the purpose of credentialing qualified alcohol and drug counselors and prevention specialists. The Phenomenon and the Gift course teaches how alcohol and addiction counselors can use advanced spiritual approaches to psychology to help those in recovery heal relationship and establish connection with family and friends and Source. Research by Dr. Bruce Alexander supports a theory of addiction that connection, rather than sobriety, is the ultimate goal of recovery. Receive 10.5 hours of CEUs the National Association for Social Workers (NASW) for licensed social workers. Donations accepted, Everyone is invited whether or not you are attending the P&G Weekend. The Oneness Meditation is a powerful form of blessing transmitted through the eyes of a Oneness Meditator, while in a very high state of consciousness, to help further your awakening. Catherine Scherwenka will be offering this meditation. Please join us and bring your friends to experience a deep state of peace and joy. 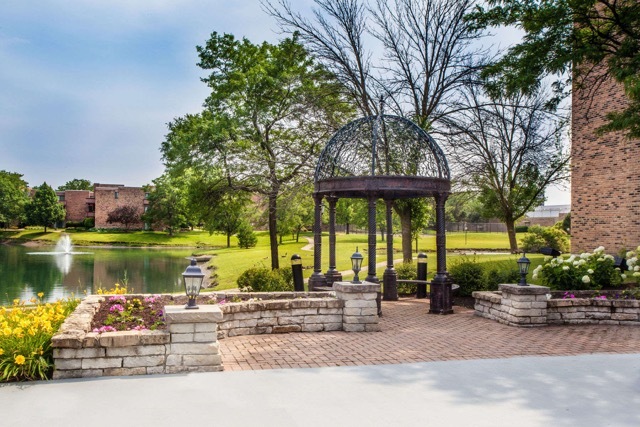 Located in suburban Chicago near Schaumburg Convention Center, The Wyndham Garden Schaumburg Chicago Northwest hotel offers a great location, thoughtful amenities, and Midwestern hospitality. Add amenities like a beautiful outdoor pool, walking trails, beautiful meeting and event space, and 200 non-smoking guest rooms with free WiFi and flat-screen HDTVs, refrigerator, microwave and complimentary breakfast during your stay. Call (847) 397-1500 to book your room. For added convenience during your weekend experience, a beautiful buffet-style lunch will be available for an additional $55.00 for both days (vegetarian options). Lunch tickets must be purchased 1 week prior to event. YOU CAN HELP GIVE THIS GIFT TO OTHERS! GO AHEAD! YOUR HEART WANTS TO! HELP SOMEONE YOU HAVE YET TO MEET. 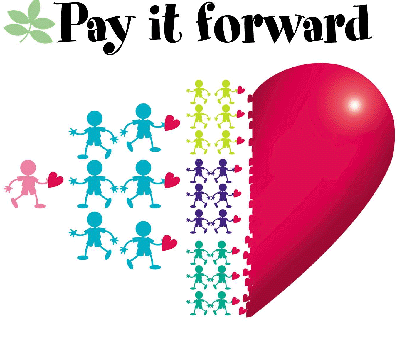 FEEL THE CONNECTEDNESS OF PAYING IT FORWARD. ALL DONATIONS ARE USED TO HELP OTHERS ATTEND THIS COURSE. You may donate any amount you feel called to by clicking the Donate button below. If you want to support the entire course fee for someone (including taxes/fees), please donate $414.47. Any donation amount is welcome and greatly appreciated.